and agree on time together !!! NB !!! WE SELL  ESTONIAN CANDLE STUDIOS WITH FUTURE ACTIVITIES. furniture, finished production, material, etc. 9 days. And also in France. We are the masters of Estonian Kyynlastuudio Mario and Natalya. 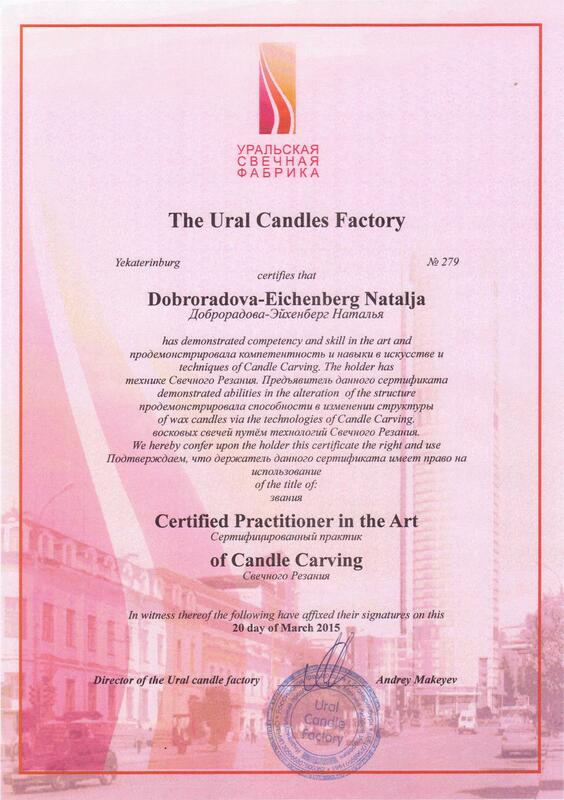 Certified under our Carved Candles of the practitioner. Creating candles makes us a great pleasure, to each of them, we put our heart and soul and warmth of your hands. We admire the outcome, because every time there is something new and unique. Candles-primitive humanity yet-it's magic. As you know, since ancient times, people were looking for a light, kept the fire, people viewed the fire and saw the fire in the paintings and images. If you have your own design, color, or etc., we will discuss this and we will do for you, only your own candle! 1. Our Studio candles are made only manually, and for each candle goes to about 30-50 minutes, paying attention to each customer's individual wishes and pisiasjale. 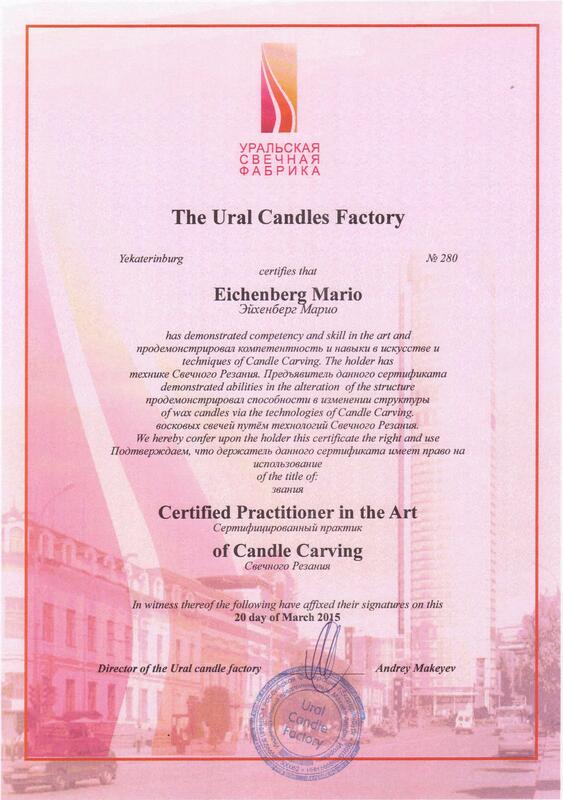 2. our Estonian Candle Studio the masters are certified and we want to bring you the most interesting new ideas and solutions. 3. the candel of our ornamental is the most diverse colors. 4.We encounter every day in the new models, patterns, designs, holiday- romantic-evening-with the subject and any kind of topics. 6. We use the colours of the German-made food and paraffin wax, which is environmentally friendly and safe for you, your children and the health of loved ones. Home of the family of one of the most important events of each Outbreak, at home, in our life-is the WEDDING! There is also a rite of passage – a new family to the fireside to arson. Already in ancient times, the Firebox was the main source of heat and comfort in the House. The ceremony must be 3 candles-the great newly-weds get, and two thin-for parents, one either side.Parents are lighting up the young in the hearth of your barn The newlyweds will light the candles lit in the hearth of your parents noorpere by forwarding it to their love, wisdom and prosperity. A large candle symbolizing the heartht, young family keeps for many years, and is ignited by the family holidays. We offer a wide range of Wedding candles. All of our candles are made by hand. Luxurious Wedding candles make a party truly magic. A great idea for a gift. It would be a great gift for mom, a daughter, a friend of 8 March, birthday, Christmas,at a house-warming partys. Surprise your loved ones with breathtaking interior of the candles lit. Decorate the House, apartment, living room, bathroom, kitchen, decorative candles, which are hand-made.They are well suited for the decoration of both decoration of the banquet room as well as in home decoration.Hand made candles will bring home a form of interjeri warmth and romance. You long to think of that, to surprise your lover? Enjoy a romantic evening, Valentine candles lit. For the cutest candle favors the gentle, romantic, and the desired result! Don't know what to give away? Give yourself a carved candle!!! We work joyfully! Don't be shy! Feel free to contact us! NB! Do not hold the candles on the window sill or on top of the window, because the sun is a direct violation of your candles !! !